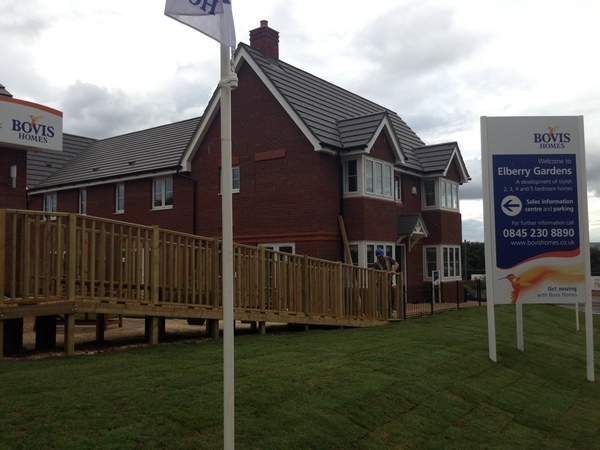 Work continues apace at the Elberry Gardens development, with the first show home now open there and reservations being taken. The house builder, Bovis Homes, is committed to working with the local community as the new neighbourhood takes shape, and is getting ready to welcome the first residents. "We are expecting the first buyers to start moving in before Christmas and I'm sure they are looking forward to joining such a lovely community," said Bovis Homes Area Sales Manager Michelle Rayner. "As a business we understand the importance of working closely with residents and keeping any disruption to a minimum. I'd like to thank the people living in and around the development for their understanding and I hope we can continue to work together in the same positive spirit as work goes on." Elberry Gardens will have a real mix of housetypes, from two-bed homes to larger family properties and now the sales office and show home are open, local people are welcome to come and have a look around. They can see the house styles at first hand and discuss with the team there how Elberry Gardens will take shape and the type of properties Bovis Homes is building. "Our sales advisors Lindy and Yvette would be happy to show people around and give them an idea what this new part of the community will look like," said Michelle. "We see that as an important part of our communication with local people - as of course is getting over the health and safety message about the dangers of building sites, and stressing to children in particular that they abide by all the warnings and signs that are on display." 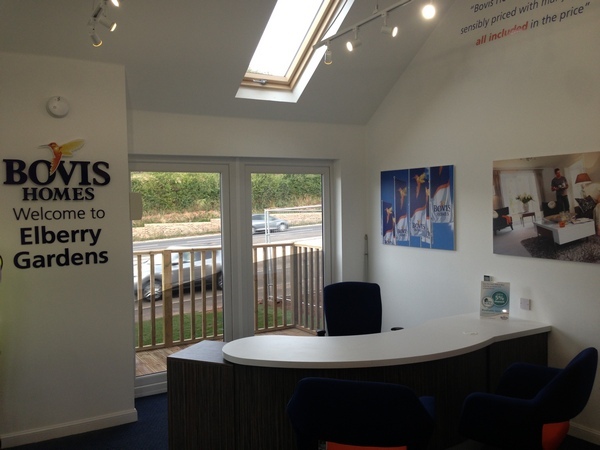 The office at Elberry Gardens is open from 10am to 5pm or you can call 07775229672 for more information.